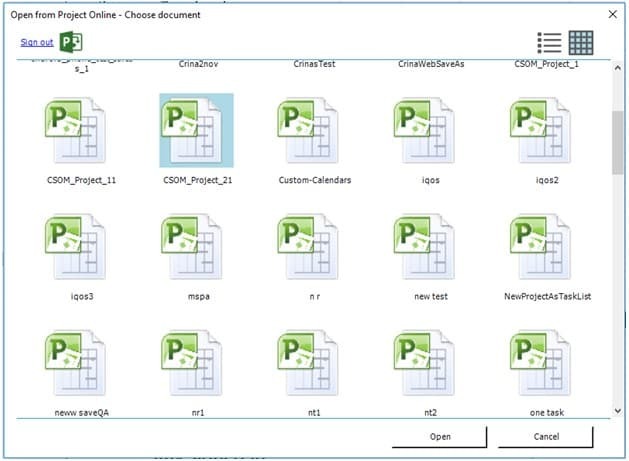 Microsoft Project Online is a flexible online solution for project portfolio management that provides powerful project management capabilities for planning, prioritizing, and managing projects and project portfolio investments. How do I open a project from Project Online? 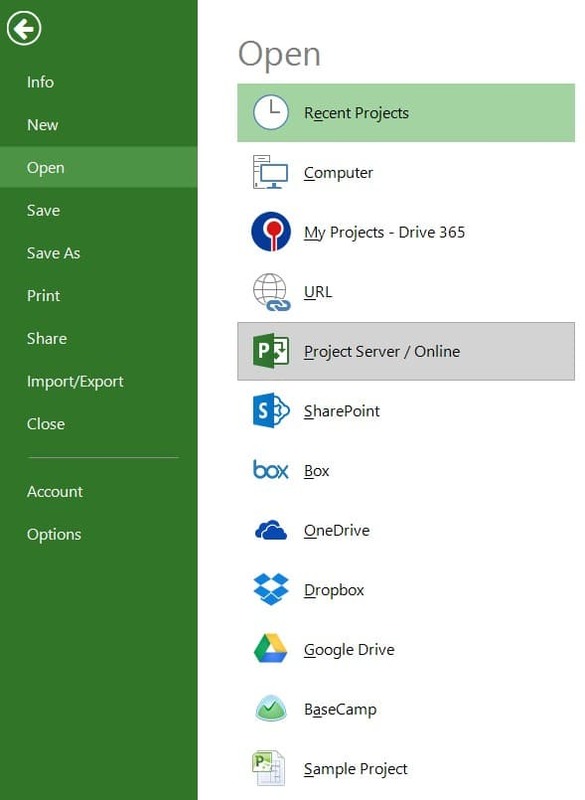 To open a project from Project Online go to File - Open - Project Server/Online. 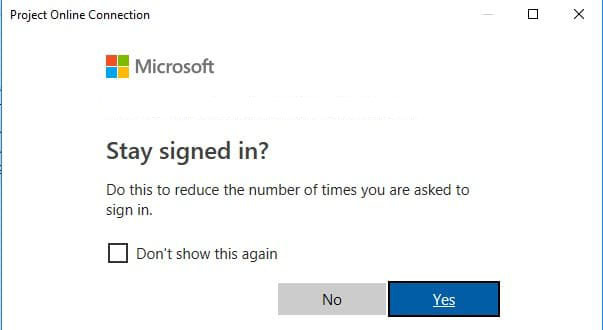 Click on Project online and enter the URL address of the Project Online, then connect with your Microsoft account if you are not already authenticated. Select the desired project and click Open. How do I save a project to Project Online? 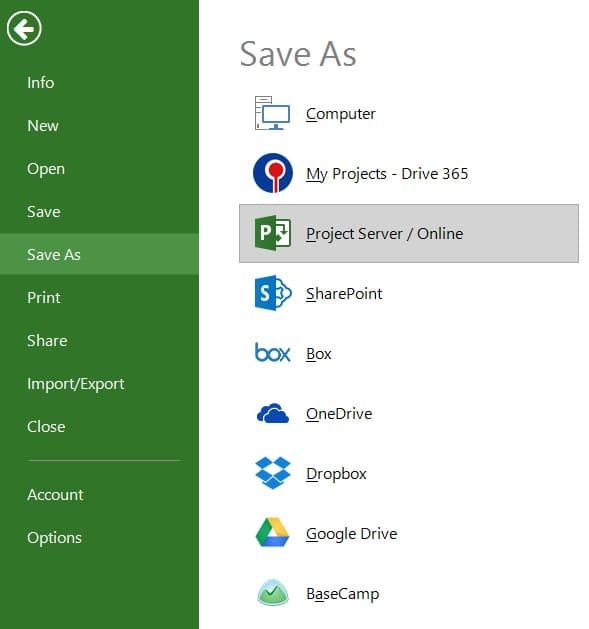 To save a project on Project Online use Save as functionality available on File - Save as - Project Server / Online - enter Server URL. Enter windows credentials and then insert the name of the project and press Save. When I save the file from Project Online, the project will be overwritten? When a project file is open and updated in Project Plan 365, it can be saved (overwritten) just like any other file, by pressing the “Save” button. The project file will be updated. 3. 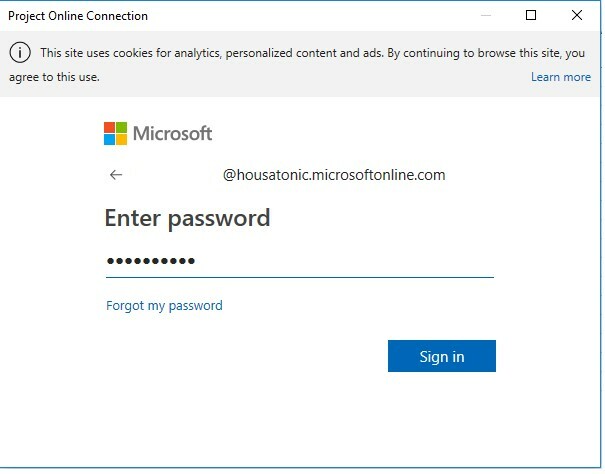 Enter server URL to Project Online. 5. Approve access to Project Plan 365 app to access your files. 6. Select the desired project from file picker and press Open. 1. Go to File - Save As. 4. If the authentication is successful, a dialog will finally prompt the user to enter a name for the new mpp file. As specified, the name has to be unique among and it should not contain special chars. 5. Insert the name of the project and click save.